We saw Gnomeo & Juliet in-theater and loved it! It’s a cute take on the traditional classic with Romeo and Juliet now being two star-crossed gnomes. It releases tomorrow (May 24th) and is a great one to have for all of this summer road trips! 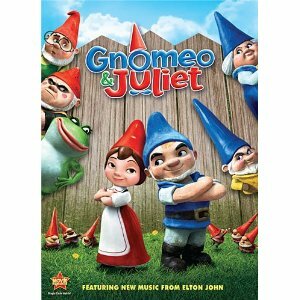 Get Gnomeo & Juliet on DVD fo $16.99. You can pre-order it today on Amazon with free shipping.